Microsoft Office 365 Administrators are often easily confused when they do an administrative task is PowerShell that involves retrieving, or changing the RBAC administrative roles for users in the tenant. The Administrative Role names used in the Office 365 Portal do not always match the equivalent role used in PowerShell. The reason for this is that PowerShell uses the underlying Azure AD RBAC Administrative Role name, whereas the Office 365 Admin Portal has it’s own Administrative Role display name. Most of the time they are the same, but a few role names are different. 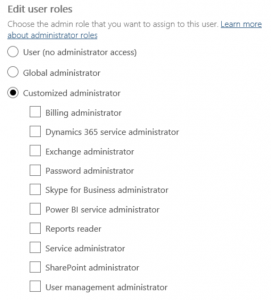 This post shows the Administrator Roles used in both the Office 365 Admin Portal, and Azure AD, and the equivalent roles where the names differ. Note: you can assign multiple Administrator Roles to a user. You can see that some of the Office 365 Administrator Role names differ. 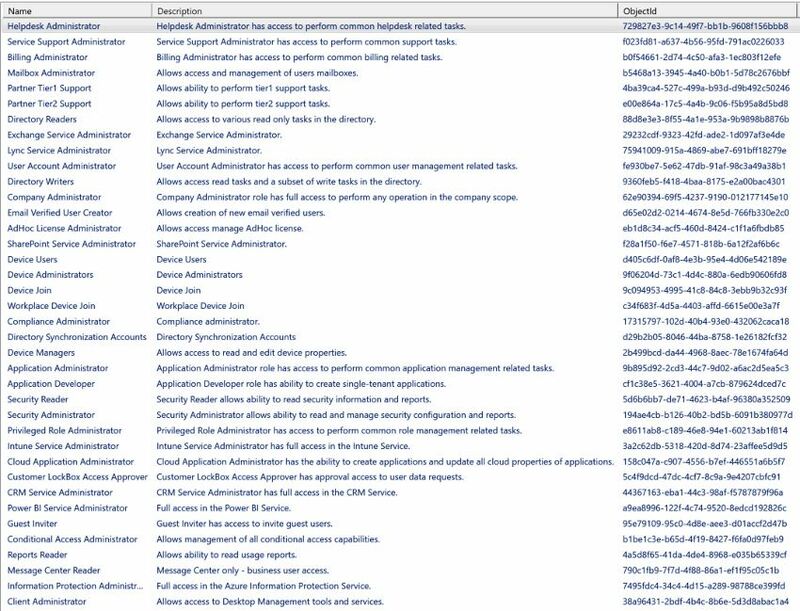 The equivalent Azure AD Administrator Role names are listed below with any differences highlighted in red.